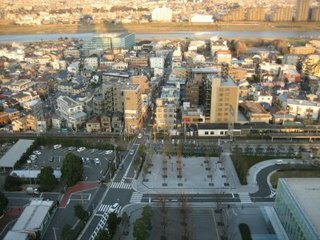 Little Gaijin in the Big City: fab pix from japan! I was gonna post these up on Flix, but I'm already close to my monthly limit, so there goes that idea. Instead, I shrank them down and am posting up the cream of the crop just for my lovely readers. Here is a mini gallery of stuff I've seen in the last month or two, hope you enjoy! 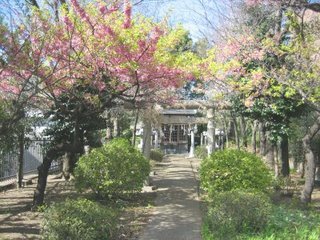 This is a beautiful temple right next to our apartment. Hard to believe it's on a major city street and there's a 7-11 across from it. 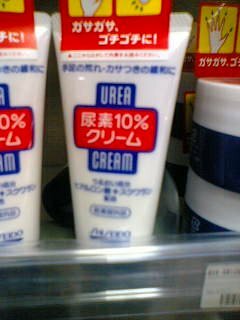 Is this cream really made out of Urea?! Do they even know what that word means?!! Sanity check on aisle 3!! 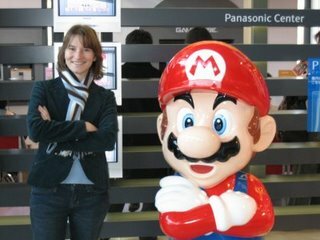 By the way, Japanese people don't know he's supposed to be Italian. Isn't that weird? 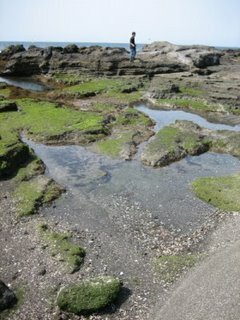 Tidepools near Kamakura: Takeshi's in his natural marine habitat. I took this when Viet was here and we went to the fish market. 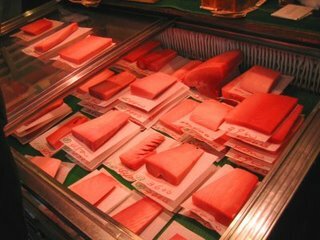 Those slabs of tuna (magura otoro, the fattiest part of the fish) are like gold... some of them are over $100! We went to sushi afterwards and managed to stay (miraculously) within a reasonable budget. Alright kids, that's all for now. And stop reading this from work, your boss is probably right behind you and is going to blame ME for having such a fascinating blog. I don't need no bad mouthing from your crazy boss! Oh, if anyone emailed me about the bottle thingie, leave a comment. I think my email has been acting weird lately. Maybe I should get Gmail like everyone says. ...but google is starting to scare me!! WE know the real truth that Vivi Ornitier is the REAL main character! This is a real comment, unlike the first one. Cool, a Canon! That's what I have, but an older model. It has a very good lens. It's been raining a lot. We've got things blooming, but it doesn't feel much like spring. See you in July! I don't have a camera, but after having so much fun using my sister's...I may have to think about getting one. Wow, I never noticed that temple back when I came in October. 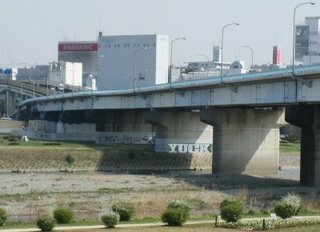 It's really just across from the 7-11? Kinda right out back of Bldg. C? And sheesh, I gotta get another camera, one with a real zoom lens and a DOZEN megapixels. Heh. The cheap Sony from 2002 is just looking so quaint now. 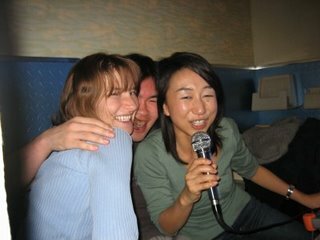 Loved the pic from the 18F - thanks for that! Hope the wedding planning is coming along well (and isn't too stressful)!